Repeating Numbers - A Guide to Interpreting Recurring Numbers! Have you ever found yourself being stalked by a number? Everywhere you turn, everywhere you look, every bus, every receipt, every building number…no matter where you are what you’re doing, it’s there? Some people are quite happy to brush this off as coincidence but there is a much deeper meaning that is waiting to be understood. In this article we’re going to explore recurring numbers by looking at why you’re seeing them and how you can interpret and understand their meaning. To start with, we need to understand the basics of numerology. 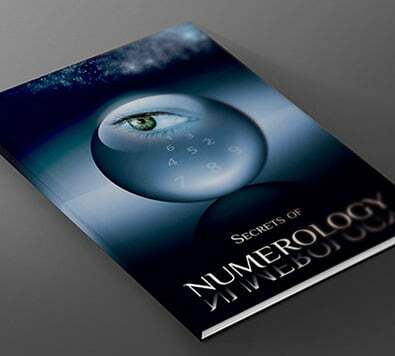 Numerology is the study of numbers and their energy. It looks at how numbers are a way of understanding the Universe by examining its code and using it to solve problems or find connections to past, present or future events. The numbers we see in everyday life can also be used to improve our own understanding. Sometimes, we find ourselves drawn towards a certain number, almost as if there is a connection to it that we just can’t quite grasp. This tends to be the case with any repeating numbers. It’s not necessarily that you are seeing repeating numbers but rather you’re being drawn in by their energy and so you become more aware of them than you would usually be. You’ll be happy to hear that it’s possible (and actually quite easy) to interpret these numbers in order to understand why you’re seeing number sequences. It may sound a little confusing at first but think of it as being the same as any code. Imagine a code where 1=A, 2=B and 3=C…etc. Would such a code be difficult to understand? No, of course not, you would simply have to make a note and decipher them. So what do repeating numbers mean? Well, in short they mean the very same thing as the example you just saw. The only difference being that instead of a letter, each number carries its own range of meanings depending on a number of factors. Repeating numbers can present themselves in a variety of ways. You could see a simple single digit number over and over again or perhaps a 2 digit number, maybe even a 3, 4, or 5 digit number. Repeated numbers can be any length and any combination of numbers which allows for a variety of very specific messages to be sent and received. So let’s take a look at some examples to give you a better idea as to how to interpret these repetitive numbers. We are about to look at several techniques that are commonly used to interpret any repeating numbers. Seeing consecutive numbers can be a little confusing at first but it is very important to remember that the meaning of repeating numbers is a very personal and individual matter. Two people who are seeing the same recurring numbers may interpret it very differently. Think about why you might be seeing this number, think about what you’re doing whenever you do see it, and think about whether you already have the answer within you somewhere already. Number interpretation does require a degree of trust in yourself and your abilities. We can also use a very special technique to gather even more information about this number’s message. If we use the example 123, we have the core numbers 1, 2 and 3. If we work out this sum of these numbers then it gives us an additional core number to interpret. So in this example (1+2+3) we get 6. Remember though, core numbers have to be single digits. If we use 789 as our example of repeating numbers, we would get 24 (7+8+9). In this situation, we simply use the same technique again to get 6 (2+4). You would repeat this technique until you are left with a single core number. When we find multiple occurrences of the same digit within repeating numbers, such as the number 3 in 313, it has significance. We usually view this as meaning that the core number of the number 3 is twice as important within this message. So if you had the number 2122 then you would know that the core number 2 should be viewed as 3x its usual level of importance. 0 – Zero represents the infinite and tends to highlight that there is something at play much larger than ourselves. 1 – The number one represents new beginnings and while typically relating to a spiritual experience, it could indicate a change in your life at work or with friends or family. 2 – Two can represent balance but also imbalance. Seeing this number might highlight the need for patience while things balance out or it could mean you need to take steps to balance varying aspects of your life. 3 – Three represents the mind, body and spirit but also the past, present and future. If any of these states are being neglected then this is a reminder to change that. 4 – Four is a reminder to be flexible in order to allow yourself to grow. Know that moments of great difficulty/ease are only temporary. 5 – Five represents change: change that is either about to take place or has already started. 6 – Six is a reminder to relax. Doing anything in excess isn’t good for you and won’t offer any benefits in the long run. 7 – This number works to congratulate you on being on the right path. Don’t take it for granted though! 8 – The number eight offers you solace in the fact that there is plenty in the world around and through positive thinking and positive action; nothing can stop you from reaching your goal. 9 – Nine is about our advancement, our progressions, and our evolution. It reminds us that we sometimes have to let go of the past in order to move on to a better future. What is the meaning of a first and last name with expression number 7?